Federal prosecutors seeking approval to pursue the death penalty against Robert Bowers. 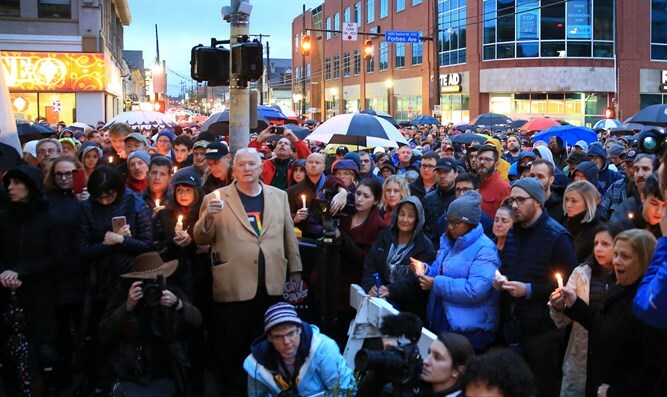 Scott Brady, US Attorney for the Western District of Pennsylvania, said on Sunday night that federal prosecutors are seeking approval to pursue the death penalty against Pittsburgh synagogue shooting suspect Robert Bowers, The Associated Press reported. Brady said he has begun the process to get Attorney General Jeff Sessions’ approval as required by law to pursue a capital case against Bowers. He added that multiple search warrants have been issued in the investigation of Bowers, who murdered 11 people in Saturday’s massacre at the Tree of Life Synagogue in the neighborhood of Squirrel Hill. Bowers, 46, reportedly yelled "All Jews must die" during the attack. Before entering the synagogue, Bowers tweeted that "I can't wait while my people are getting slaughtered.... I’m going in". His social media was rife with anti-Semitic comments. Sessions said on Saturday night the Justice Department intends to file hate crime and other charges against Bowers. The shooter was later charged with 29 counts in deaths of 11 people. The charges include obstructing the exercise of religious beliefs resulting in death, as well as 11 counts of using a firearm to commit murder, weapons offenses and charges alleging Bowers seriously injured police officers while obstructing the exercise of religious beliefs.